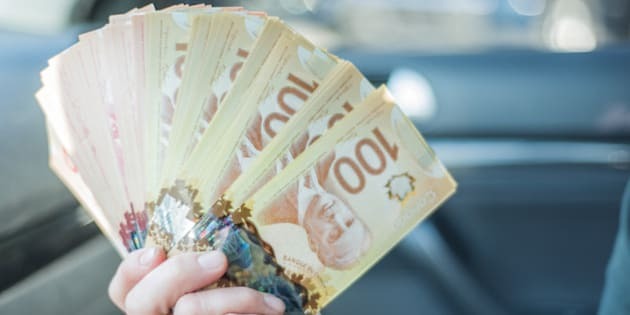 A woman counts $100 Canadian notes/bills before making a large purchase. TORONTO - The fund that manages investments for the Canada Pension Plan says it just had the best year in its history. The CPP Fund's portfolio had a net return of 18.3 per cent in the 12 months ended March 31, the highest one-year return since it started 16 years ago. Assets grew by $45.5 billion to $264.6 billion at the end of its 2015 financial year. Only $4.9 billion of the increase came from contributions while $40.6 billion came from investments. The CPP Investment Board says the strong performance was due to growth in stock markets, bonds, private assets and real estate holdings. The value of its investments also got a $7.8-billion boost from a decline in the Canadian dollar against certain currencies. — Follow @DavidPaddon on Twitter.